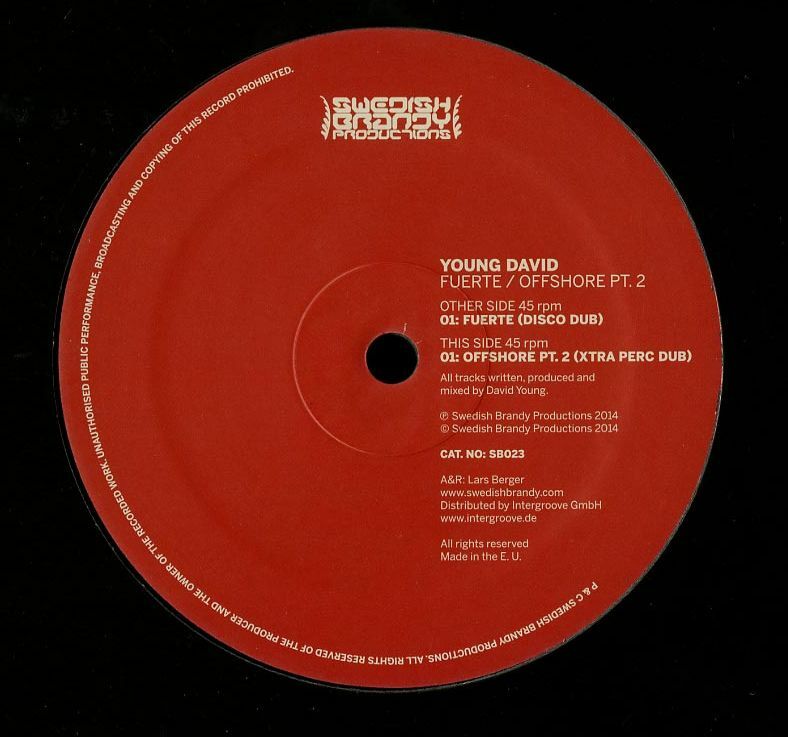 Fans of late-night Lounge tracks will dig this—Young David’s Fuerte on the Swedsh Brandy label received a proper remix treatment from Further Out‘s Richard E.
Awash with grooving, analog-sounding House Disco-isms, and supported by a Velcro bass line—try getting the latter out of your head to see what I mean—Richard E. demonstrates a smooth hand at shaping three-and-a-half decades of dance music styles into a nearly five-minute package which sounds seamless and relevant for the 2015 dance floor. This entry was posted in Music and tagged aural dive, disco, lounge, Music, post disco, richard e, swedish brandy, young david. Bookmark the permalink.